House Speaker Nancy Pelosi says the House “can’t even consider” ratification of the U.S.-Mexico-Canada Trade Agreement (USMCA) until Mexico reforms its labor laws. 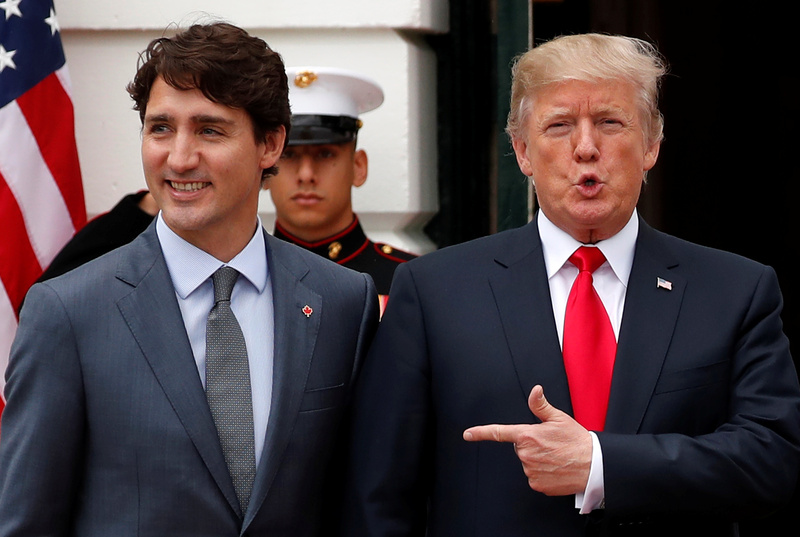 The treaty that replaced NAFTA had been approved by President Donald Trump and the leaders of Canada and Mexico after much twelfth-hour suspense. But Pelosi didn’t hold up much hope that the deal would receive any House attention before the summer, according to Politico. Pelosi’s commitment to political change in Mexico isn’t in synch with the Trump administration’s stated intent to move the treaty through Congress quickly and have it up and running by the 2020 elections. Some House Democrats have previously indicated that they are worried some of the language in the treaty relating to labor rights and environmental standards is too vague to be enforced. House Republicans have also suggested there are problems with the langauge in the treaty that focuses on advancing LGBTQ rights, largely contributed by Canadian Prime Minister Justin Trudeau. Pelosi agrees with her Democratic colleagues that the USMCA language must be legally specific and clear. “We’re saying that enforcement has to be in the treaty, not in the implementing legislation,” she said. Implementing legislation “only bears on how we act. It doesn’t have to bear on how all three countries act,” she told Politico. “We have to see the evidence of what’s happening, not only that they pass the bill [in Mexico], but that they implement the policy,” she said.